Why this (musically) works? Is there any explanation to this that can be applied to other contexts? It musically works because it sounds good! There isn't really a 'should be' in music. It's more of a 'could be' when addressing some theory. However, taking that theory further, it's agreed that chords from a parallel key work well (as here!). The parallel key for B is - you've guessed - Bm. Several different chords become available using the harmony from Bm. And F#m happens to be one of them. Also, containing an A and a C#, it hints at B9. Which is another chord that would lead directly to E, the IV of B. Like @Tim said. But let me expand a little. Just accept that a diatonic chord with one note modified is a 'thing you can do without sounding particularly left field'. In a harmony exercise that F#m MIGHT signal a modulation to E major, via F#m7, B7, E. In that case there would be some point in considering it 'borrowed' from E major. But that's not, I think, what happens here. It's just nice. Not the answer you're looking for? 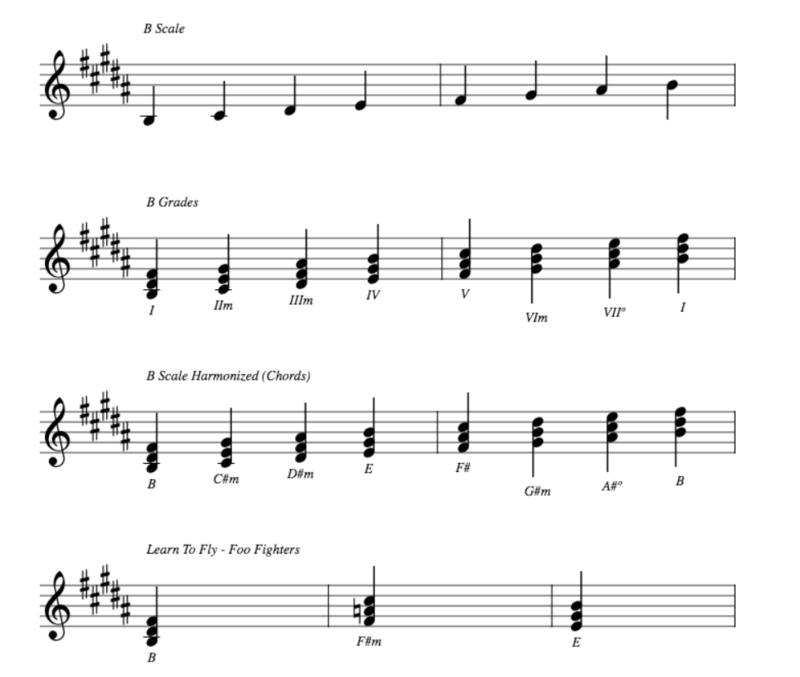 Browse other questions tagged chords chord-theory harmony or ask your own question. When would you call a 7th chord first inversion a 6th chord? What's the logic behind chords building patterns that are in key?